Last updated on October 8th at 5:30 PM Rīga time with final results, updated seat totals and to correct a few typos. Section 3 has also been updated to more accurately reflect the current situation. 1. 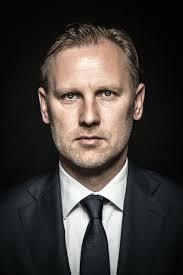 Saskaņa has once again come in first place, and will once again not be included in the government. A lot was made throughout the election about the possibility of the populist upstart KPV LV party forming a government with the traditionally Kremlin-friendly Saskaņa party, as KPV LV was the only major party not to draw a "red line" against cooperating with Saskaņa up until just days before the election. In any case, both parties together will not have 50 seats in Saeima and would not be able to form a coalition together even if KPV LV leaders Aldis Gobzems and Artuss Kaimiņš decided to go back on their recent promises. 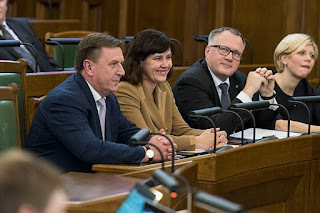 None of the other parties would agree to work with those two if they did indeed collaborate, meaning that Saskaņa will once again be locked out of the government despite being the largest single party in parliament since 2010. 2. Voters truly were unhappy with the status quo, but not too unhappy. 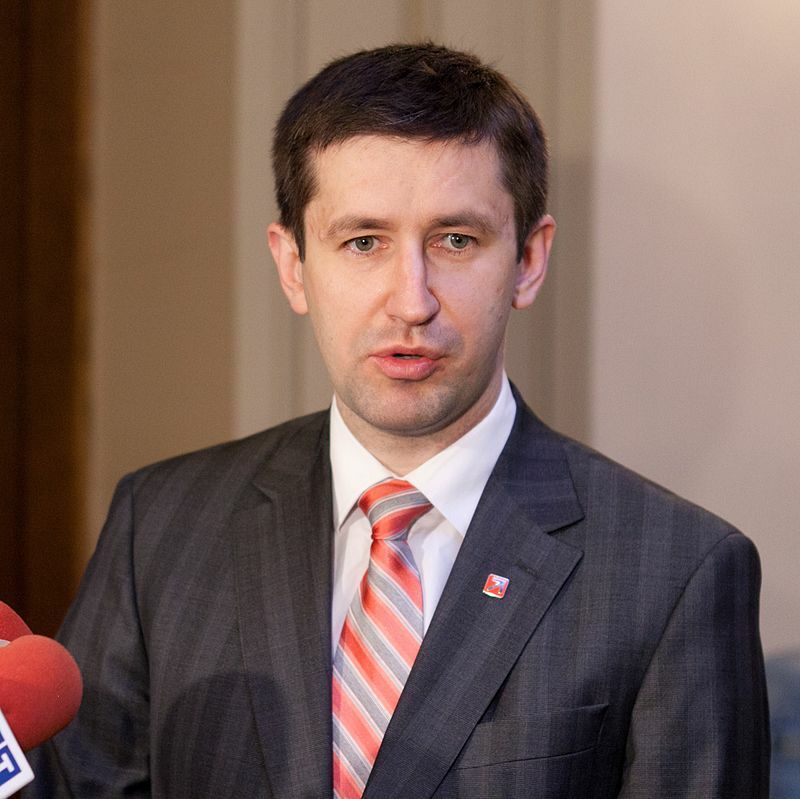 Although fallen from grace previous coalition leader Vienotība was able to avoid complete disaster and remain in parliament despite dire projections this summer that the party would be unable to cross the 5% barrier, the fact that the three current coalition factions will be the three smallest parties in the next Saeima is a strong message that voters are ready for change and unhappy with the status quo (but not unhappy enough to get rid of them altogether). Oddly enough, the three parties (Nacionālā apvienība, Zaļo un Zemnieku zavienība, and Jaunā Vienotība) got vote totals in the complete opposite order of their 2014 election results. 3. Either Aldis Gobzems or Jānis Bordāns will most likely be invited by President Vējonis (at least according to tradition) to form the next government, and either of them would have to compromise on their values in doing so. 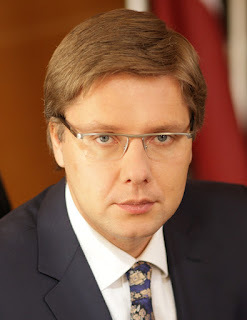 Although Saskaņa prime minister candidate Vjačeslavs Dombrovskis will most likely be given the courtesy of having the first chance to form a government, unless at least two of the other parties go back on their "red line" promise against working with them, Saskaņa will almost certainly continue to sit in opposition. 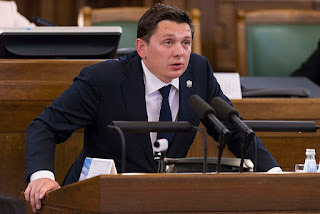 KPV LV's Gobzems would likely be next in line having come in second place and tied for the second most seats in parliament, but he would be between a rock and a hard place. While an alliance with Jaunā konservatīva partija and Atīstībai/Par probably wouldn't be too hard for KPV LV voters to swallow, gaining the remaining six seats needed to form a coalition would require including one of the current coalition member parties, all of whom Gobzems has railed against throughout the campaign. 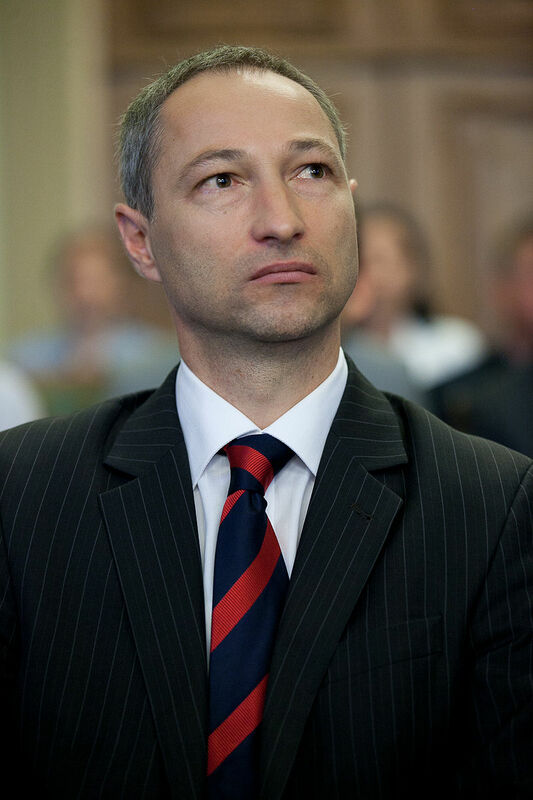 It's possible that Gobzems might opt out of this, find too much opposition to his potential premiership by the other parties, or that he might be skipped over for the third place Jaunā konservatīva partija's Jānis Bordans (whose party is also tied for the second most seats in Saeima) to try forming a coalition. 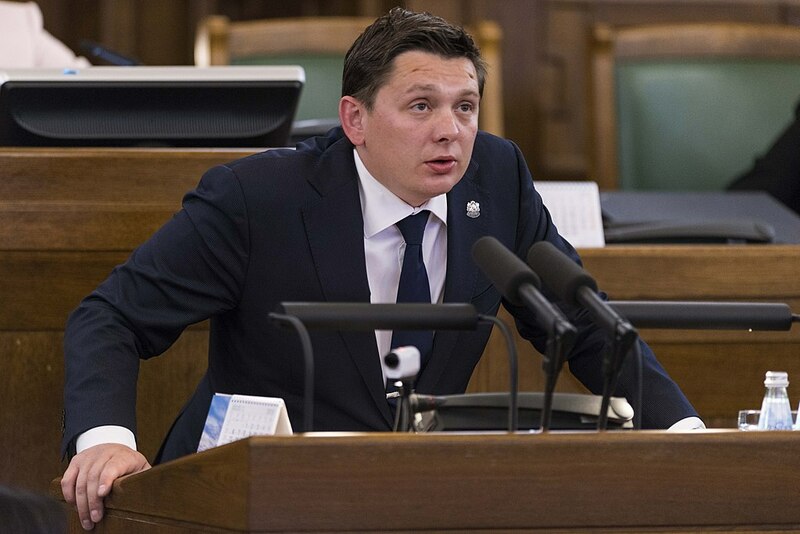 For Bordans to become prime minister without the support of KPV LV, he would almost certainly need to include Zaļo un Zemnieku savienība in his coalition, a faction that his own anti-corruption Jaunā konservatīva partija has accused of widespread criminal activity. If both opted out of forming a coalition, then one of the other four parties would have a chance to do so, leading to an even messier cabinet formation process. 4. The next government won't be built to last. Since the beginning of four-year election cycles with the 1998 election, there hasn't been a single cabinet that has lasted all four years between normally scheduled elections. As the next government will have to contain a minimum of four parties with conflicting ideologies and personal styles, it is difficult to believe that the emerging cabinet will be able function as one big happy family free of the kind of infighting that plagued former Prime Minister Laimdota Straujuma's second government following the 2014 election (causing it to fall in late 2015 and plunge her Vienotība party into its ongoing crisis). Much has been made of the rise of the populist KPV LV party, which in the context of anti-EU populism rising throughout the continent has spooked many observers throughout the world. However, while KPV LV's leaders wasted no opportunity to skewer Latvia's political elite (especially those connected with the current governing coalition), they never pointed much of that venom at the EU itself, and instead stayed relatively tight-lipped about their potential foreign policy. 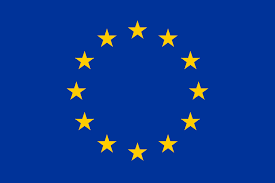 Even Saskaņa, which traditionally has had close ties with Russia and has long been the party of choice of Latvia's Russian speaking minority, made a big deal of being pro-European this time around. All of the parties which publicly took a hard stance against the EU and/or NATO got a roughly combined 2% of the vote, meaning that the anti-EU sentiment that has lit much of the rest of Europe on fire hasn't quite found a foothold yet in Latvia. 6. Saskaņa's rebranding efforts didn't pay off. Despite a concerted effort to shed its image as the "Russian party" by quietly ending its cooperation agreement with Vladamir Putin's United Russia party in 2016 and putting hot button issues such as the official status of the Russian language on the back burner, Saskaņa failed to do better than sixth place in any of Latvia's five voting regions outside of their traditional strongholds of Rīga and Latgale, the two regions with the largest Russian speaking populations. The party tried to capitalize on strong anti-establishment sentiment in a series of billboard and public transit advertising campaigns by offering "real change," but the party's results look to be at least three points lower than the 2014 election and a continuation of a steady slide since their best results in the snap 2011 election when they gained more than 28% of the vote. On the other hand, the "glass half full" view on Saskaņa is that they are the only party to maintain at least 20 seats in parliament throughout the entire decade. The only other parties to have had at least 20 seats, Vienotība, ZZS, and Zatleru Reformu partija, are now on the outside looking in (with Zatleru Reformu partija and Vienotība having merged together and still only holding a single digit amount of seats combined today). 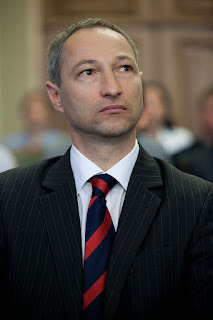 Unlike ZZS and Vienotība who have tried to distance themselves as much as possible from their most (in)famous party leaders, oligarch and Mayor of Ventspils Aivars Lembergs in ZZS's case and current Ambassador to Italy Sovita Āboltiņa in the case of Vienotība, Saskaņa featured Mayor of Rīga Nils Ušakovs heavily in their party advertising, especially in the capital city. Although Saskaņa must feel frustrated at the impasse they have reached, unable to gain at least 50 seats or to convince the other parties that they are not "wolves in sheep clothing" as so many believe they are, they can at least be happy that they have been able to remain the largest party in Saeima throughout the entire 2010s without ever suffering a major hit in their popularity that virtually all other parties have experienced. 8. Latvia wasn't quite ready for Progresīvie. Despite this writer's belief that the brand new Progresīvie party would pull a rabbit out of the hat and surprise voters with a last minute boost from undecided voters, the 2.6% that the social democratic faction gained will not be enough for it to be included in Saeima. All is not lost however; Jaunā konservatīva partija only mustered a measly 0.7% of the vote in the 2014 elections, and are now the second largest party in Saeima. The 2.6% that the new party gained is something that they can certainly build on over the next few years, especially since the new parties that will make up the government are unlikely to solve all of Latvia's most intractable problems and be immune from the kind of criticism against powers in party that got them elected in the first place this time around. Keep an eye on these guys. 9. ZZS is down, but not out. Like Godzilla, this party can take major hit after major hit, look like they've finally been defeated for good, and appear just a few years later looking stronger than ever. The fact that the party has been able to weather PR disaster after scandal over the past two decades and still remain a major power both in national and local politics after so many other new parties have come and gone is a testament to the party's (and its sponsors') tenacity. Depending on how the next four years go, it should be to the shock of no one if the 2022 elections see ZZS rejoining the governing coalition once again. 10. No Sirds Latvijai and Inguna Sudraba are, however, done. An actual, non-photoshopped picture from Inguna Sudraba's Twitter account. 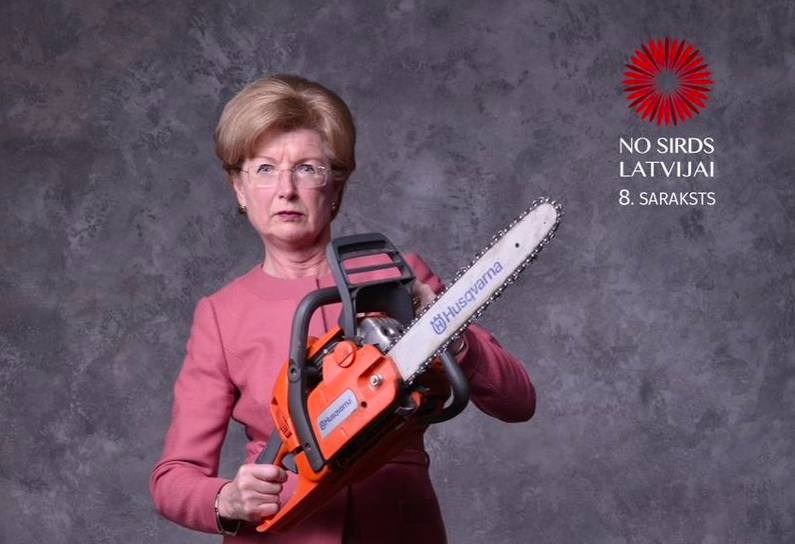 Former top state auditor Inguna Sudraba shocked observers when her brand new No Sirds Latvijai party cleared the 5% barrier in the 2014 elections and entered parliament with seven deputies. Since then things have only gone downhill for both Sudraba and NSL for a variety of reasons to numerous to list here, and despite her "hail mary" "get out the vote" poster the party released a few days ago featuring her holding a chainsaw, the party has received less than 1% of the vote and will most likely quietly disband over the coming weeks. 11. Something is wrong with the exit polls. Both major exit polls (LSM/SKDS and Delfi/LU) that were released at 20:00 last night were wildly inaccurate, with both placing second place KPV LV in fifth place and the Delfi one shockingly projecting first place Saskaņa in fourth place. This continues the trend of the past few national, European, and local elections here in Latvia showing results completely different than the exit polls did. 12. Despite the excitement, voter turnout was relatively low. Although this election was certainly the most exciting in recent years, the general trend of a drop in voter turnout since 2010 continued into this year, with an estimated 52% of eligible citizens having voted this time around compared with 62.6% in 2010. The percentage might increase once the final tallies come in, but it seems like the injection of fresh blood into this election wasn't quite enough to quell voter apathy. Update: According to LSM, the final turnout total was 54.4%. Vidzeme was the most active region with 60%, then Kurzeme with 55%, Zemgale with 54%, Rīga (which includes foreign voters) with 53%, and Latgale with 43%. Only 24.5% of eligible foreign voters chose to do so in this election. 13. Kaimiņšism is here to stay. Artus Kaimiņs and Aldis Gobzems were able to turn a party with no clear major outside sponsors into the second largest faction in Saeima (and possibly the leader of a governing coalition) through a mix of speaking directly to voters in a language they understood about issues they cared about, and using fiery rhetoric against "the powers that be" which so far had been mostly foreign to a Latvian political scene where most political advertisements simply feature the faces of candidates on the party ballots. In the same way that it was naïve to think that Donald Trump's brash new campaign style was a short-term "flash in the pan," you can expect to see more of the flashy social media techniques that Kaimiņš and Gobzems pioneered here in Latvia to be used by other factions from here on out. For weekly news updates about what's happening here in Latvia and other special posts about major important topics, make sure to press "subscribe" at the top of this page or to "like" us on Facebook. Excellent write-up. Keep it going. Summarised and evaluated quite well. Thought provoking. (referring to KPV) - "a party with no clear major outside sponsors" - there have been a few articles recently that, in some way, 'oligarch' Ainars Šlesers is somehow connected to them (as well as being influential at the Dienas Bizness paper). Re:Baltica has written about this. Yes they did write about it, but like most accusations and mud slinging in this election , no hard evidence is ever provided. The attitude among journalists seems to be that if we throw enough mud some of it will stick. They should do their jobs properly and provide witness and/or paper trails.